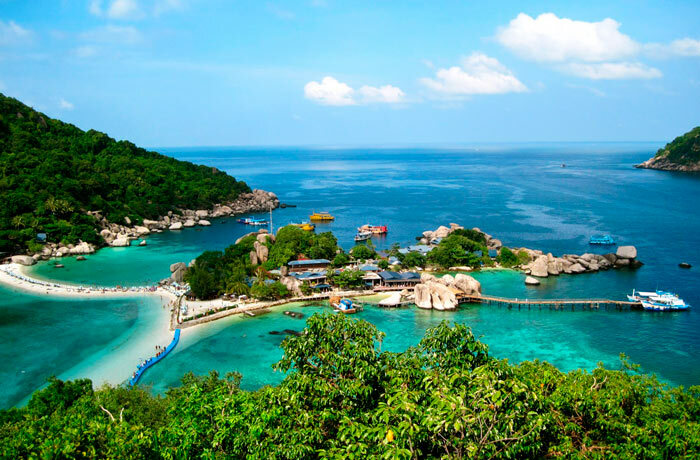 Thinking about where better to relax in Thailand, not to mention the island of Samui resorts which are considered to be the second most popular after Phuket. There is a lot of beautiful sandy beaches, which are sure to appeal to fans of beach holidays and sunbathing. Magnificent lagoon with clear blue water, coral reefs and waterfalls framed by picturesque palm trees will impress any tourist. And still attracts holidaymakers the opportunity to feel like Robinson as Samui there are no industrial zones, all the inhabitants of the island live sea fishing. There’s even forbidden to build hotels above palm trees, so all the rest live in a bungalow. More beautiful beaches and expensive European shopping is offered to tourists in the eastern part of the island. In the south-eastern area of the Koh Samui are cheaper resorts. In any case, this resort in Thailand for everyone who just wants two weeks to go to the pristine paradise on Earth.